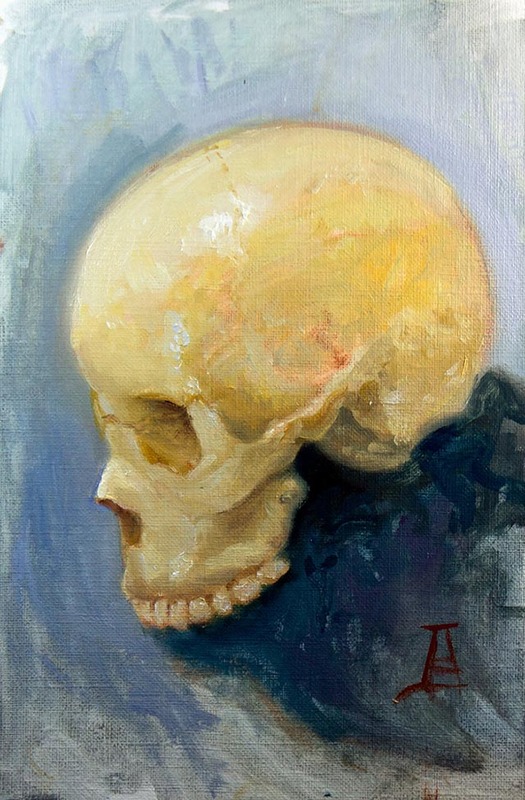 Oil on Panel, 5.5" x 8.5"
We often describe painters as bringing the subjects of their paintings 'to life,' a human reaction to some level of visual realism of a depicted object or being. Is this effect simply an illusion? A result of successful trompe l'oeil? Perhaps it is more: trompe l'âme instead. There are many things in heaven and earth waiting to be perceived, described, rounded out and 'brought to life."